Genetically Modified (GM) foods have received an enormous amount of attention in the media, usually involving controversial arguments that describe various dangers and cautions around the use of GM foods. Others, however, cite GM foods as safe and important for addressing global issues such as poverty. Now, another suggestion has been made for the consumption of GM foods – eating certain GM foods could relieve hay fever symptoms for millions of sufferers. While the concept may seem an impossible or unusual one, its basis is very much grounded in science. A type of GM rice is currently being created in Japan, a place where GM technology is generally still seen as dubious and it is unwelcome in Japanese society for many people. GM crops are not typically grown in Japan but researchers in the country are experimenting with a new kind of rice that has been genetically modified to possess some of the known allergic proteins that are present in Japanese cedar pollen. In Japan, this cedar pollen is the main trigger for painful and irritating hay fever symptoms. Hay fever has been on the rise in Japan and is thought to affect one in five people. The country historically has a strong focus on products and foodstuffs that improve and lengthen quality of life. At the same time, scientists are citing this kind of development as having the potential for acceptance in a society that has mostly shunned GM crops. Japan is a country that accepts and appreciates health-enhancing products, which means a GM rice with hay fever relieving properties could be an enormous scientific breakthrough. 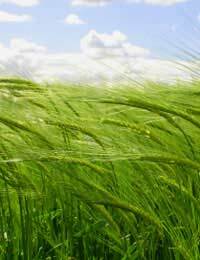 You might still be wondering exactly how a GM rice can benefit your hay fever symptoms. The concept is actually an interesting one that involves your body's immune system. When a person who has hay fever consumes the rice, his or her body's immune system then starts to become tolerant to the pollen known to trigger the hay fever allergies. The concept is also similar to the concept of allergy shots. Thus far, researchers have performed preliminary testing on mice, which showed that mice fed with the GM rice had fewer hay fever symptoms such as sneezing. These animal studies show exciting promise for the rice one day becoming a reality to treat the millions of people suffering from hay fever. Some hurdles that are still present include the politics of deciding whether the rice would be labelled as a medicine or as a food. Indeed, if the rice was considered a medicine, it would require lengthy pharmaceutical trials and regulatory approval before it could be commercially available. Organisations that are strongly against GM foods might also still be resistant to the GM rice, regardless of its health-enhancing properties. Unfortunately, testing has not yet been performed on humans, but this is a future step for the GM rice and one that will hopefully yield similar success to the experiments performed on mice. According to the Ministry of Agriculture in Japan, however, there is no definite time span yet for testing the rice on humans, although it is under consideration as a future project. Even after testing occurs, it would still be years before the rice is widely available for consumption. Yet, for those who have struggled to treat their hay fever, the concept of GM rice will likely still provide hope and potential promise to provide another important and effective option for handling hay fever.